Blurring the line between pastel and neutral, gorgeous Color of The Month Acacia Haze calms and soothes like a gentle whisper. It’s an ideal color for bedrooms, reading nooks and other cherished retreats. Check out Acacia Haze here! 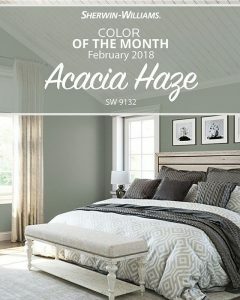 Acacia Haze would also look great as a cabinet color! Stop by Sai Home Creations…we can make it happen!